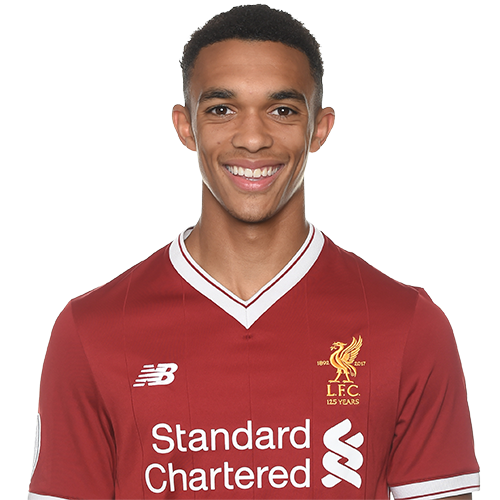 Trent has been with the Academy since the age of six and is a bright prospect who achieved a senior debut for the club in October 2016. He began the 2014-15 campaign as captain of the U16 team, made his U18s debut in 2014 and became captain of Neil Critchley's side. A creative central midfield player or reliable full-back, Trent possesses a great engine and an eye for a pass, and is as comfortable involving himself in attacks as stopping them. Two months after an impressive outing for the first team in the pre-season friendly win at Swindon Town in August 2015, he maintained his ascent by penning a professional contract with the Reds. And a year on, having been named on the bench for the Premier League opener against Arsenal at Emirates Stadium, Alexander-Arnold made his senior debut in a League Cup victory over Tottenham Hotspur at Anfield. On November 8, 2016 Alexander-Arnold put pen to paper on a new long-term deal. Trent made his first Premier League start for the club during the 1-1 draw with Manchester United at Old Trafford on January 15 2017.